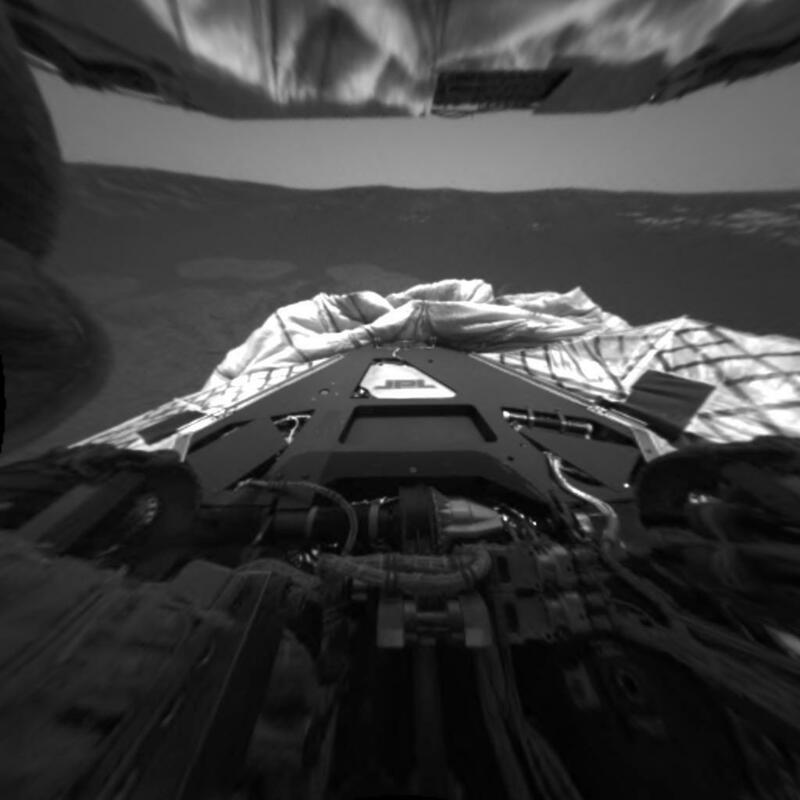 This image from the rear hazard-identification camera on the Mars Exploration Rover Opportunity shows the spacecraft's rear point of view before the rear lander petal was hyperextended. 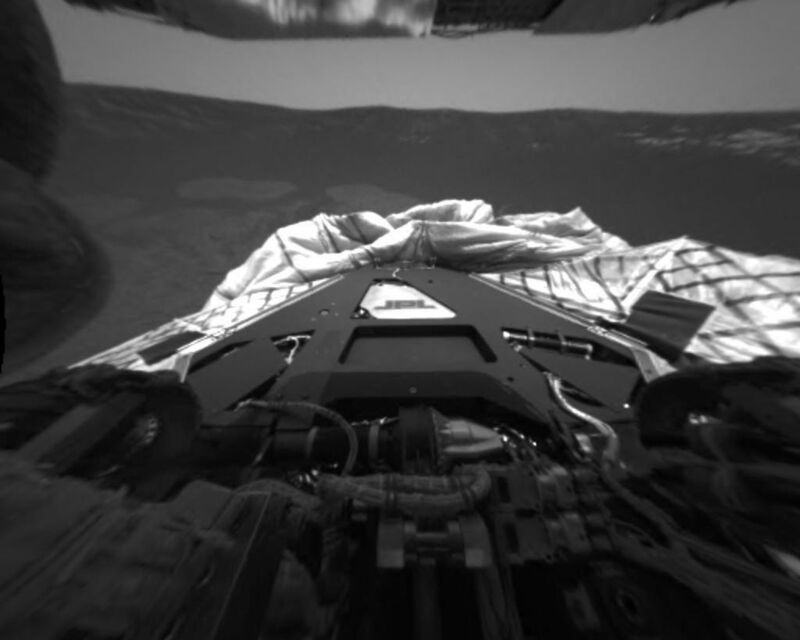 This was one of the steps taken to successfully tilt the lander forward in preparation for egress, or rolling off the lander, at Meridiani Planum, Mars. 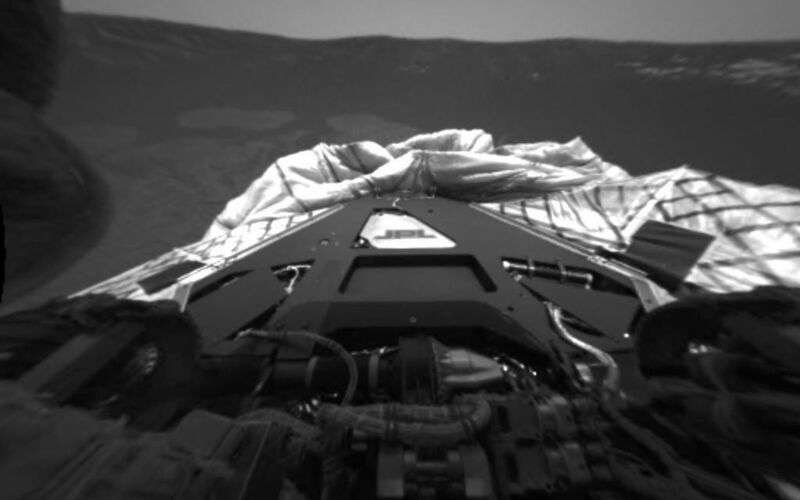 The rover will roll north off the lander, opposite this viewpoint.